Well, there’s no going back now because, after 12 years together, Chrissy Teigen and John Legend have gotten matching tattoos. That’s right: these two have put their love and commitment to each other and their family in the most irreversible kind of ink possible. Teigen shared the photos of their new tats on Instagram on Thursday and just between us, these tats are ridiculously cute. In the photo set shared to Teigen’s Instagram account, the first photo shows what looks like Teigen’s forearm and Legend’s bicep arranged together to show off the handiwork of tattoo artist Winter Stone. The tattoos are supremely elegant and minimalist, paying homage to their little family unit, which includes children Luna, 3, and Miles, 10 months. 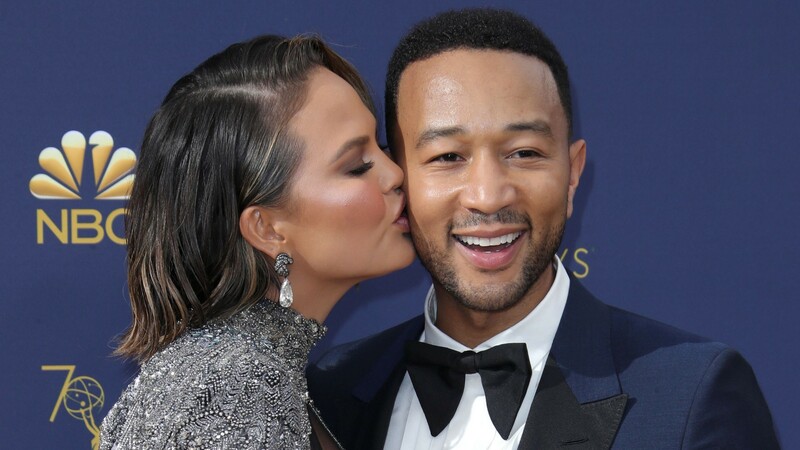 Teigen’s tattoo reads “John, Luna, Miles” while Legend’s swaps out his name for his wife’s, reading, “Chrissy, Luna, Miles.” Teigen also revealed in a second photo that she got yet another equally dainty tat, a heart, on her finger. As far as we know, this is the first set of matching tattoos that Teigen and Legend have gotten together. We couldn’t think of a tattoo that fits these two better than something that is both elegant, meaningful and romantic as hell. These two can pull anything off, so of course, even when they get tattoos they make it look so, so good.